The Islamic State claimed responsibility on Tuesday for a series of shootings on police and tourists in Jordan over the weekend that killed ten people, including a Canadian woman. A statement released by the terrorist group's media arm, Amaq, said four ISIS "soldiers" carried out the attacks on Sunday before they were shot dead by police, CNN reported. The shootings in the central Jordanian town of Karak marked the first ISIS-claimed attack in the pro-Western nation. "Armed with machine guns and hand grenades, they raided the gatherings of the apostate Jordanian security and the citizens of the crusade alliance in Karak," the ISIS statement said. Gunmen on Sunday opened fire on police officers at two locations before moving to Karak Castle, a Crusader fortress and popular tourist attraction. Seven security forces officers, two Jordanian civilians, and a Canadian tourist were killed. 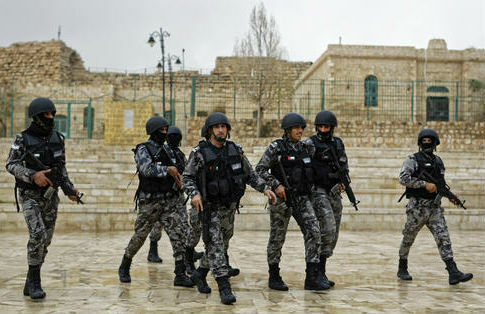 The shootings marked the first time in more than a decade terrorists had attacked a civilian target in Jordan. Jordanian authorities found at least five suicide belts and explosives in a house some 20 miles northeast of Karak, according to Interior Minister Salamah Hamad. "In the light of the number of explosives and weapons found, the target wasn't just Karak," Hamad said Monday in a news conference. Jordan is a member of the U.S.-led coalition fighting ISIS in Iraq and Syria. The terrorist group on Tuesday threatened more attacks on members of the coalition, pledging to carry out "something worse and more severe, Allah permitting." This entry was posted in National Security and tagged ISIS, Islamic State, Jordan, Terrorism. Bookmark the permalink.